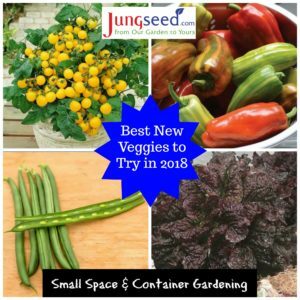 With a new catalog comes the opportunity to try new products in your garden. 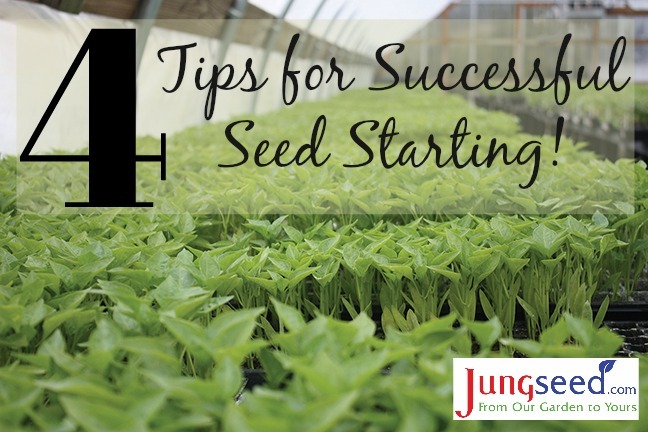 This year we have added a large variety of exciting new seeds, plants and gardening supplies. Over the next few weeks we will introduce you to some of our new for 2018 offerings to help you get insight into what will work best in your garden this year. 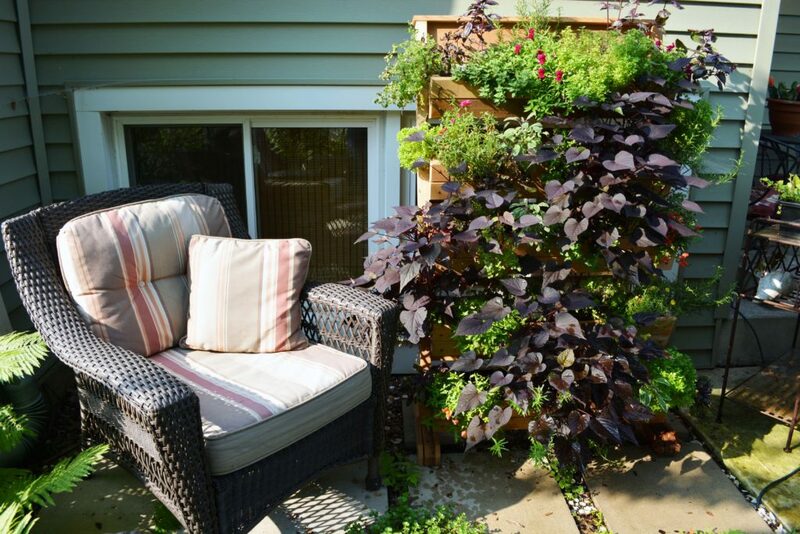 We know you have a lot of choices, but many people have limited space when it comes to growing their garden. 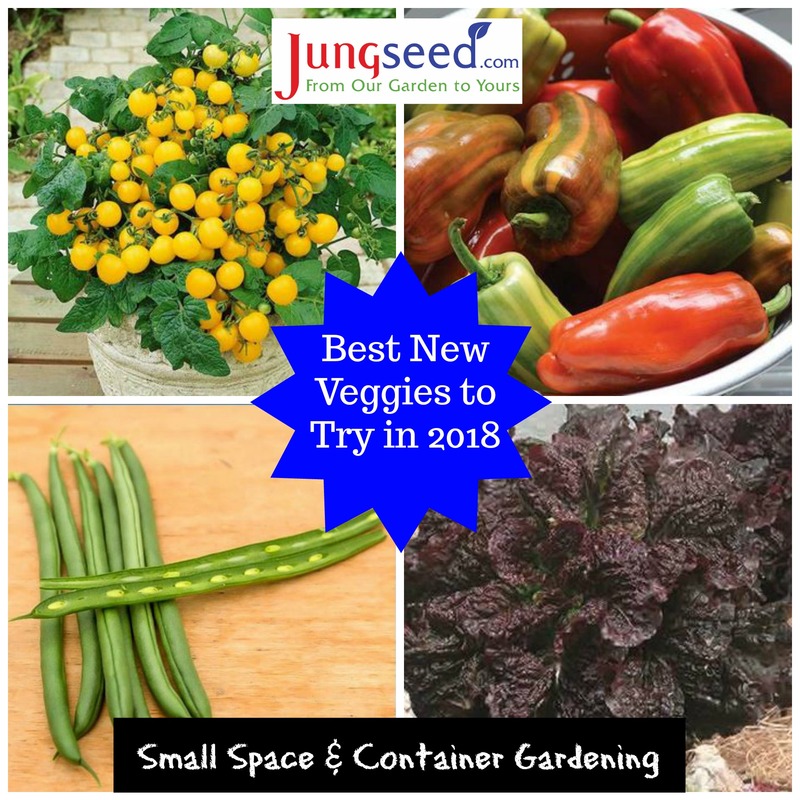 That is why, this week we are showcasing some of our favorite new vegetables to the Jung Seed Co. catalog that not only work in large spaces but do great in containers or small gardens.